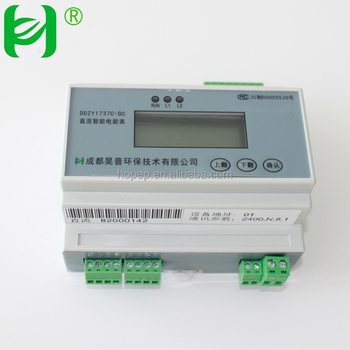 The solar DC electricity meter need to be connected with hall sensor when we use it. 6.Record and alarm events like voltage loss, over voltage, power down, etc. 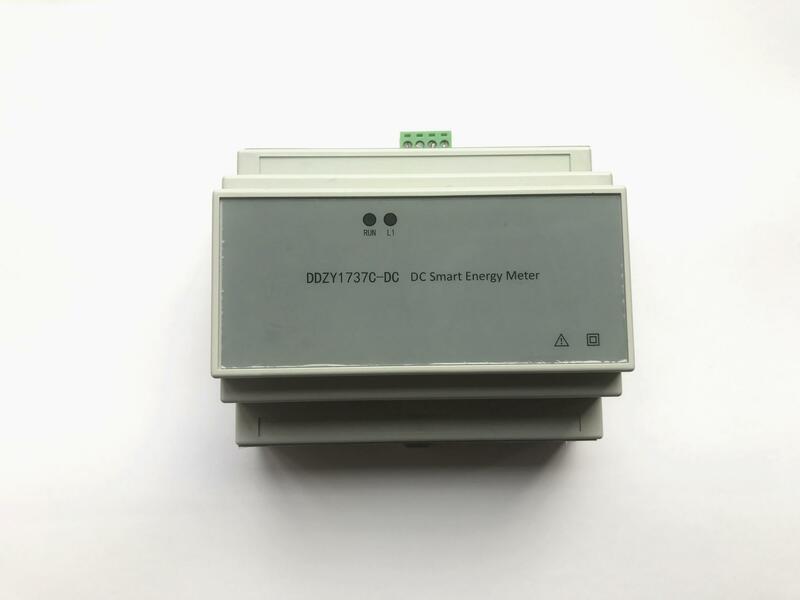 RS485 Solar DC Electricity Meter is designed to be used in solar power supply, dc power supply screen, base station of telecommunication company, etc.. As an advanced smart digital front collecting device, the DC voltage smart power meter is largely applied in all kinds of control system, SCADA system and energy management. 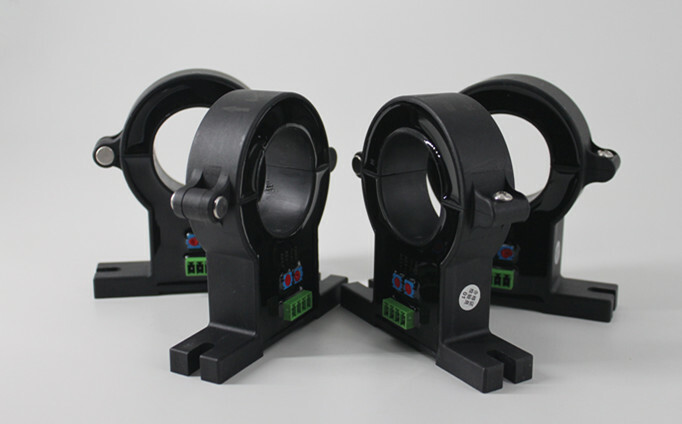 Multi testing has been adopted to result in best RS485 Solar DC Electricity Meter products. 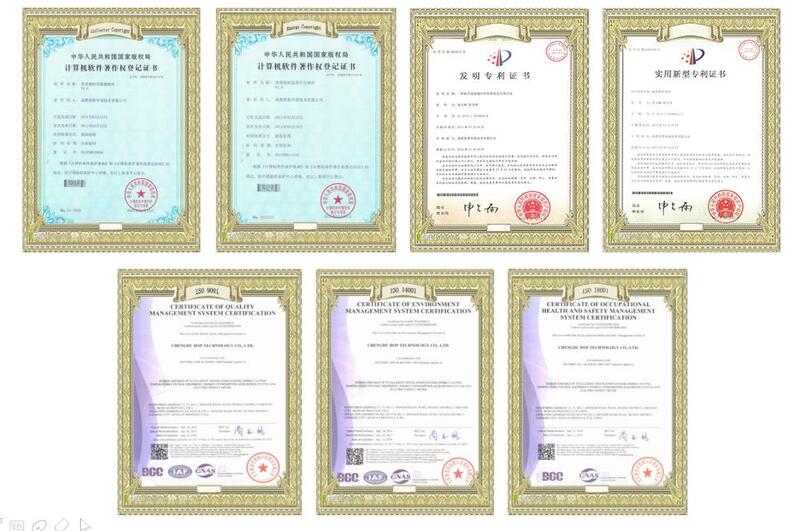 We have stable and reliable cooperating shipping agents in Chengdu, Shenzhen, Shanghai which can offer professional service and reasonable price. 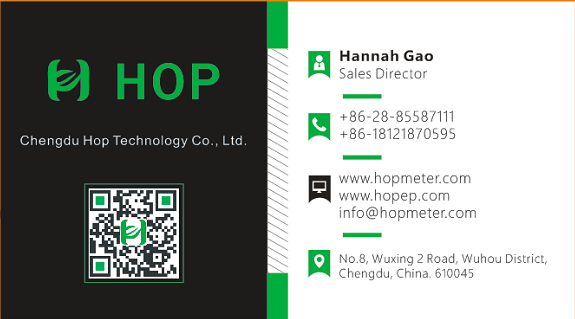 HOP Technology researches and develops all products by ourselves. 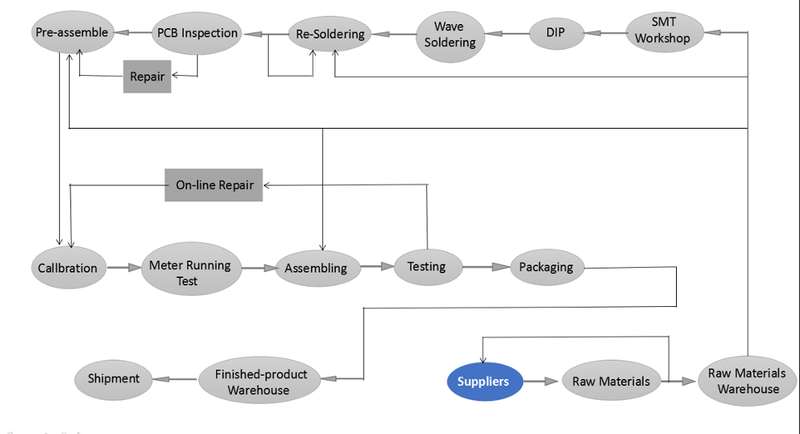 To ensure the excellent performance and quality of products, our R&D team has been dedicated in technology improvement, structure design, software upgrading. Our mission is to provide complete metering solution to clients and business partners with better products and services. 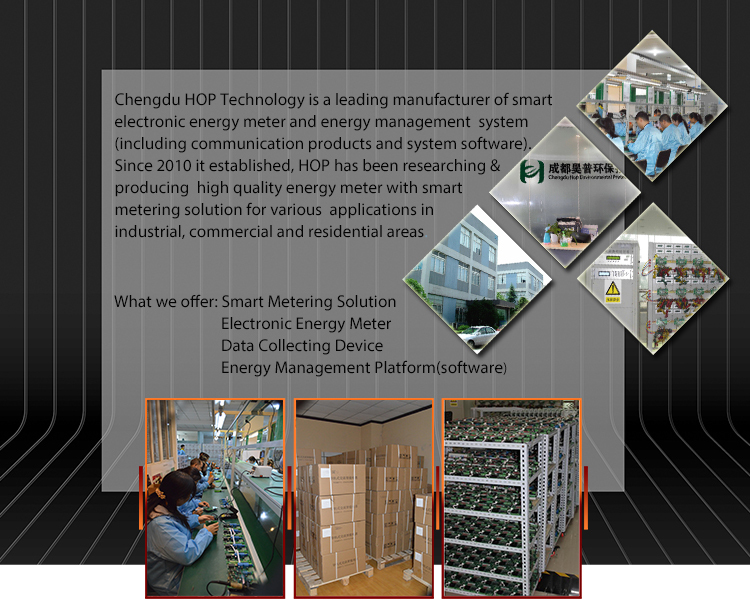 Q: Do you have APP for smart energy meter? A: Since different areas' clients have different using habit, so APP is always customized for clients according to the developping instructions clients give. Q: Does smart energy meter has load profile function? A: Currently, only our three phase meter has load profile function. Q: Can you put our logo on the dc energy meter? A: Yes, we can put your logo on the meter, concentrator and system software.